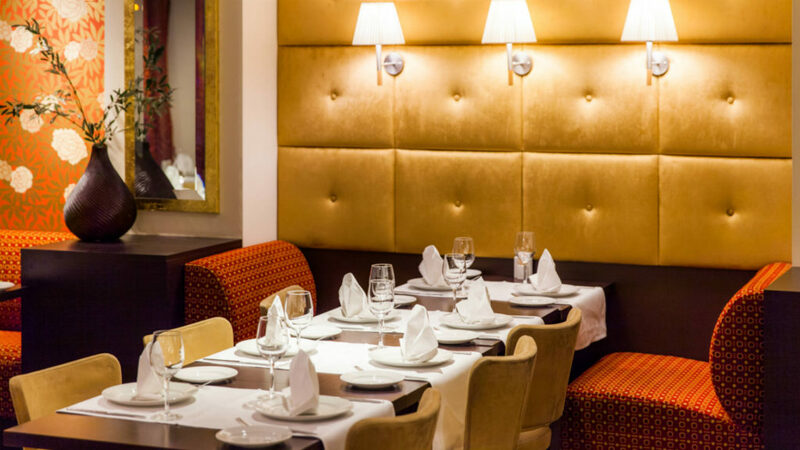 Restaurant Senso is located on the second floor of Radisson Blu Hotel Olümpia. Offering a chic and sophisticated atmosphere, Senso invites to experience a range of Mediterranean-inspired dishes prepared with fresh seasonal ingredients. Every morning we serve rich and delicious Super Breakfast buffet which is the perfect for the quick morning business meeting or enjoying lazy weekend breakfast with family. The restaurant is perfect for business lunches or friends and family dinners. Elaborate buffet lunch is served from Monday to Friday 12.00 – 15.00. All the dishes in our à la carte menu are made with great care and love, and we apply the same principle when choosing our produce, which is of prime quality and locally sourced whenever possible. We also offer dishes that focus on local ingredients to introduce specific Estonian tastes.